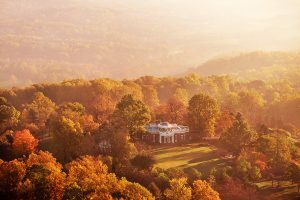 In the foothills of the Blue Ridge Mountains in western Central Virginia, the City of Charlottesville is home to a population of over 40,000 residents with a metropolitan population over 200,000. The City has earned a reputation as being one of the most livable places in the country. Named one of “America’s Best Intergenerational Communities” by Met Life & Generations United 2012, the city prides itself on livability for all stages of life. The city was also recently awarded “Amercia’s Smartest City,” by Lumosity the best Small Community City for Overall Well-Being -Gallup 2012, and one of the Best Small Cities For Working Women (#4) by nerdwallet.com 2013. A city deep in historic value, three Presidents claim roots here. In addition, the city is the home of the University of Virginia founded by Thomas Jefferson in 1825. With a growing enrollment of nearly 24,000, the University is reliably listed as one of the top five public universities in the country. In 2007, the area’s emphasis on historic preservation alongside modern development has earned the recognition by the National Trust for Historic Preservation as a Dozen Distinctive Destination. Charlottesville is home to a vibrant farmer’s market and a booming restaurant and local food community. It was named “Locavore” Capital of the World by Forbes Magazine in 2011 and the Healthiest Place to Live by Men’s Journal magazine in 2010. Choose your food and your lifestyle— Charlottesville has you covered.